For over 70 years, Suave has been committed to creating professional-quality products for you and your family that work as well as high-end salon and specialty brands. They are challenging consumers everywhere to Rethink Suave, and rediscover the quality that is in every bottle we sell. As America's #1 hair care brand, Suave offers a line of shampoos, conditioners and styling products that are proven to work as well as salon brands. For the price, you really wouldn't think this would be good shampoo. But it is! It keeps my hair healthy and moisturized. I tend to alternate between Suave Naturals and Suave Professionals. My favorite shampoo and conditioner is Suave Professionals Volumizing and my favorite for Suave Naturals is Tropical Coconut! Suave has an amazing line of products and overall I prefer them over other "higher-end" products. Suave is affordable and gets the job done, what more could you ask for?! I love anything that smells like coconut :) I'll have to try these - thanks! The Coconut one smells amazing!! Suave is my go-to shampoo for affordability! 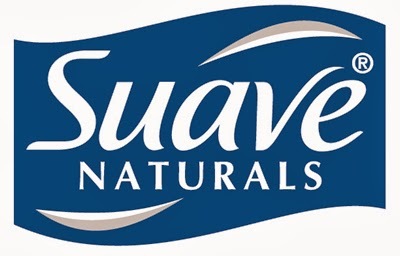 I love Suave, they've got great products for such little money. OMG i am mad about all things coconut scented! Oh you will love Tropical Coconut!!! It smells sooo good!